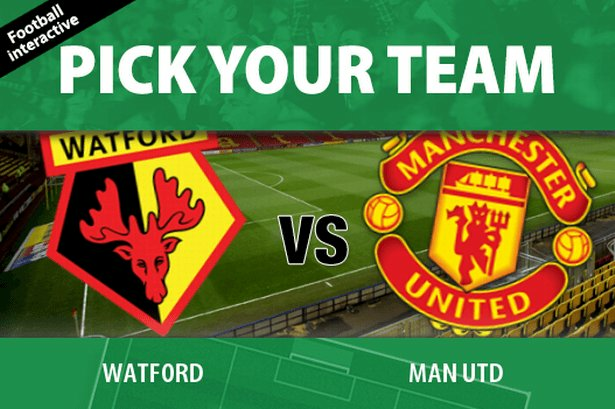 Manchester United vs Watford Live Streaming: Man United hosts Watford for the 25th match day of the Premier League at Old Trafford. Manchester United are sixth on the table with 45 points from 24 games, one point below Liverpool and five points above Everton. On the other hand, we have Watford who are 10th on the table with 30 points from 24 games, one point below WHU and one point above Stoke City. 11th February 2017 at 20:30 (IST). Manchester United are the only team to be unbeaten in their last 15 games, their longest unbeaten run since Alex Ferguson retired, winning eight and drawing seven. They drew three games and then finally won against Leicester City. They have never lost a home game against Watford in the league, winning seven and drawing two matches. Watch: Arsenal vs Hull City EPL Live Score. Man United played against the title defenders Leicester City and won the game by 0-3 away from home. Henrikh Mkhitaryan opened the scoring with a solo goal in the 42nd minute, followed by Ibrahimovic’s 15th goal in the league and then finally Mata made it 0-3 in the 49th minute. They have won two games and drew three in their last five games in the league. Watford is 10th on the table and needs to push up if they want to finish better at the end of the season. Watford beat Man Utd in their home tie by 3-1 and could become the ninth team in the league history to do a double over Man Utd. Troy Deeney has scored two league goals against Utd, both in the last five minutes of the game. Watford has won two games, drew two and lost one game out of the previous five games in the league. They played against Burnley in their previous game in the league and won the game by 2-1. De Gea, Damian, Jones, Smalling, Shaw, Pogba, Herrera, Carrick, Ibrahimovic, Mata, Rooney, Martial. Man United are in good form and playing at home, beating them would be tough.